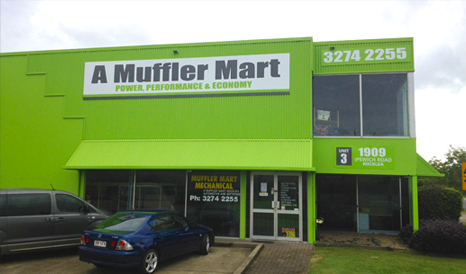 Muffler Mart is an exhaust automotive fabrication company based in Rocklea that has been successfully operating for more than 10 years. “Power, Performance and Economy” is our motto and that is exactly what Muffler Mart strives for. Our aim is to increase the customers vehicle performance (horsepower/kilowatts), a tougher sports sound and also achieving better fuel economy with a high quality as our standard of work, while still at an affordable price.